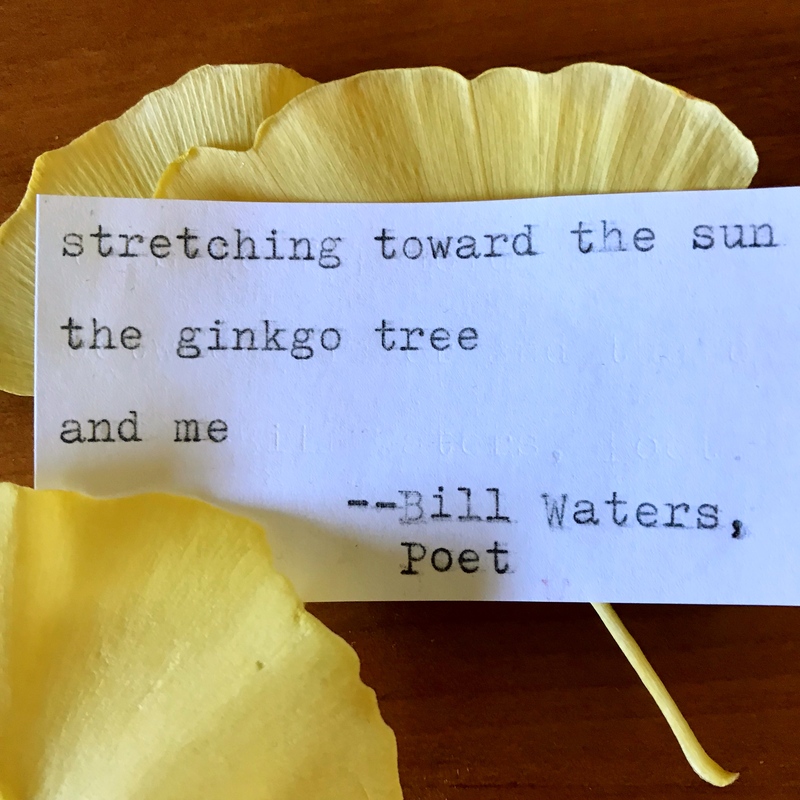 Here is a small selection of haiku and senryu photo-poems from my Instagram account: two from my “typewriter series”, and two from my “handwriting series”. More of my Instagram photo-poems can be found at www.instagram.com/billwaterspoet. our failing cat . . .
in dying light . . .
and didn’t notice . . .
her high-flying jet . . . 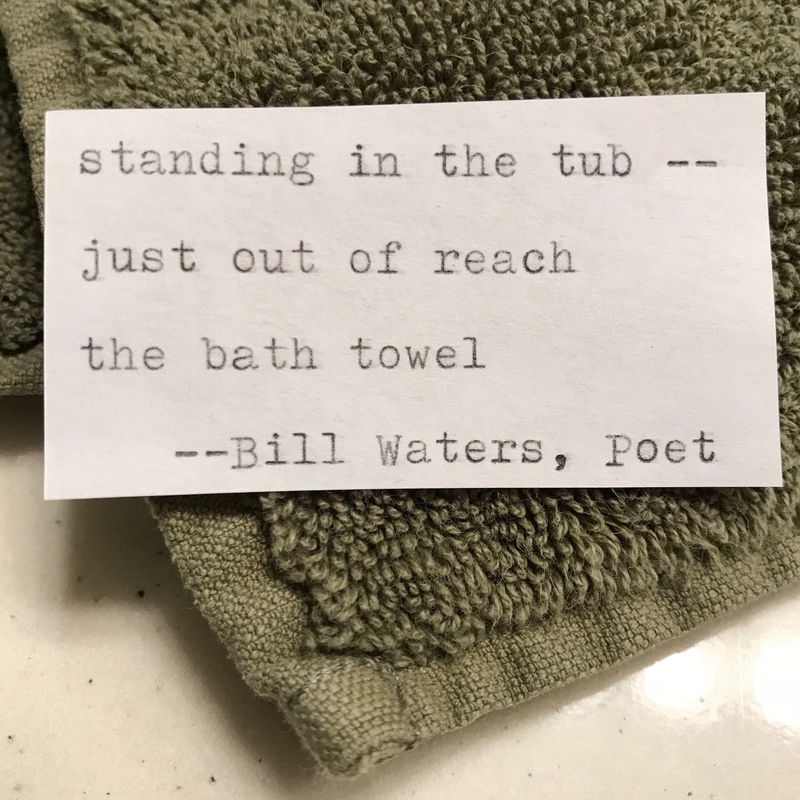 Published in the University of Chicago’s Memoryhouse Magazine, issue 21, 3/2019. Theme: touch. What do dirty diapers, computer crashes, and drool have in common? They were all . . . writing prompts for this year’s NaHaiWriMo?! [T]his month’s writing prompts have been produced through random numbers and letters provided by NaHaiWriMo participants, using the number to choose a page number from a particular book, and the letter to indicate a particular line on that page (for example, the letter L indicates the 12th line on that page). … I’m happy to reveal that the book I used for this inspiration is Lia Romeo and Nick Romeo’s 11,002 Things to Be Miserable About (New York: Abrams, 2009). It’s a parody of the book I used as the source for our prompts in 2018, Barbara Ann Kipfer’s 14,000 Things to Be Happy About (New York: Workman Publishing, 1990). for a superhero cape . . .
home from the burial . 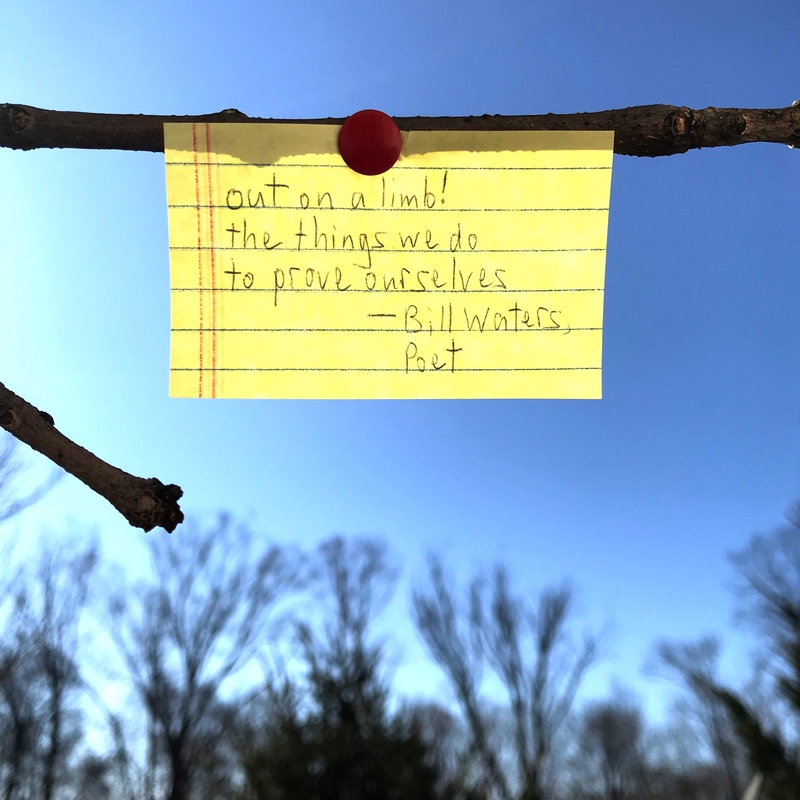 . .
And so ends NaHaiWriMo 2019.
for the trees . . . I was a tree . . .
ghost town . . .
with a cold and a good book . . .
and more babies . . .
heat shimmer . . .
rolling blackouts . . .
thin walls . . .
mystery meat . . .
Rather than post to this blog each day, this year I will save up my work and post weekly. 10, 9, 8, 7, 6, 5, 4, 3, 2, 1 . . . Happy New Year — I mean, Happy NaHaiWriMo! It was recently announced that this year, the 21st-annual event will be held on Saturday February 23rd, 10am-6pm, at . 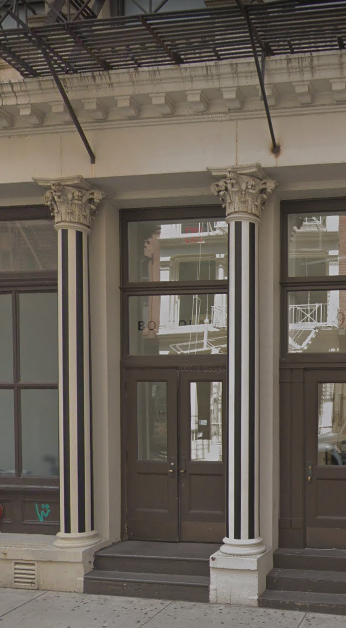 . . Bortolami, 39 Walker Street, Tribeca! 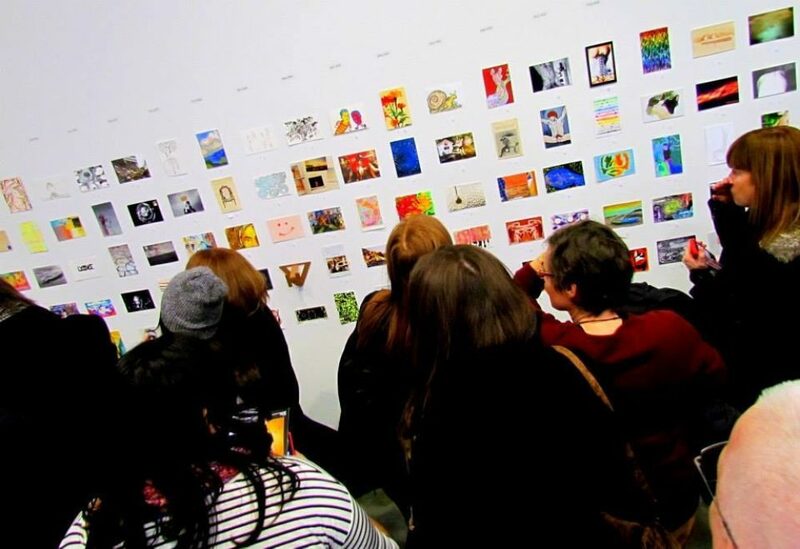 Postcards from the Edge offers a rare opportunity to acquire original, postcard-sized artwork from internationally renowned and emerging artists for only $85 each. Offered on a first-come, first-served basis, over 1400 works are exhibited anonymously, and the identity of the artist is revealed only after the work is purchased. With the playing field leveled, all participants can take home a piece by a famous artist, or one who’s just making their debut in the art world. Nonetheless, collectors walk away with something beautiful, a piece of art they love! Postcards from the Edge, 2018. If you happen to attend the event and see this postcard on the wall . 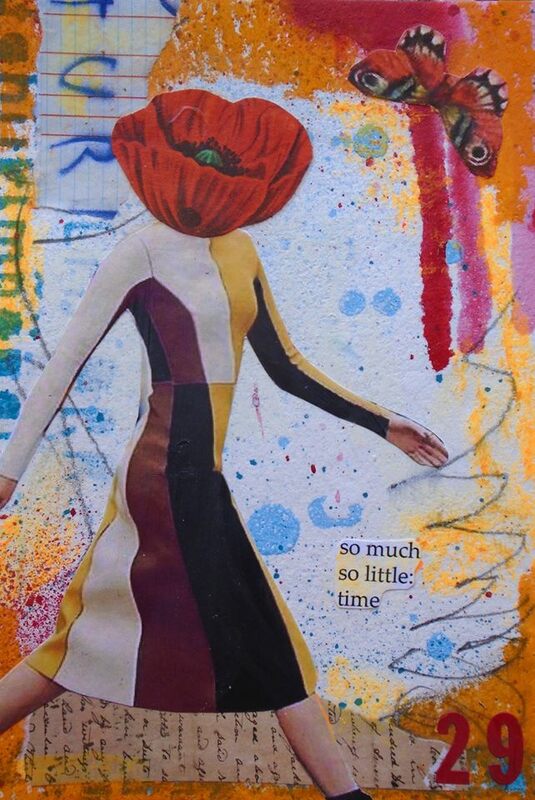 . .
Red Poppy 29 (Time), by Lorette C. Luzajic. 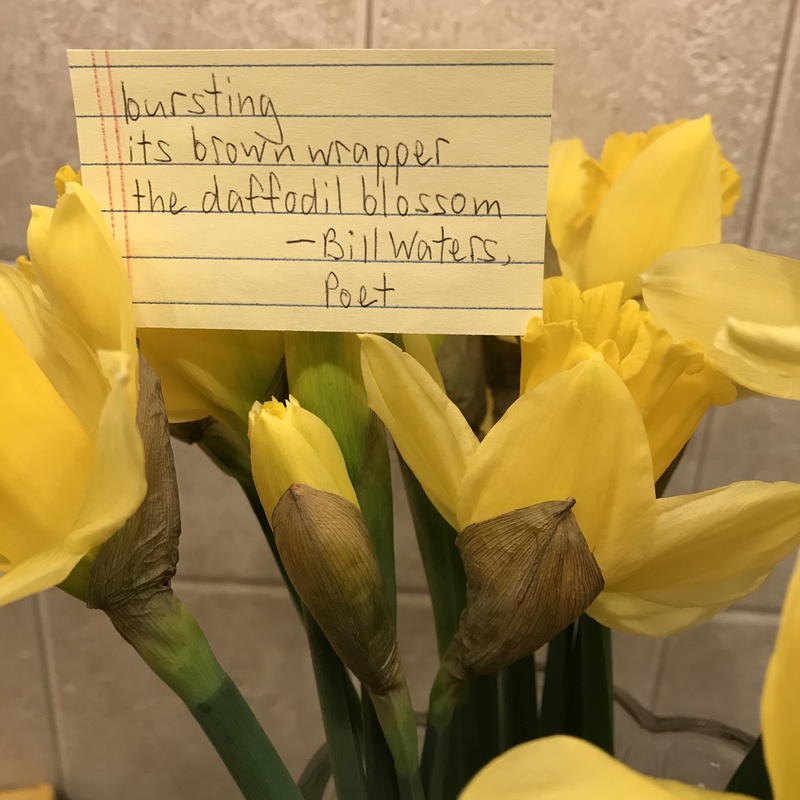 Poem by Bill Waters. Documenting more than 120,000 plants, the Arboretum’s horticultural focus is on a recognized collection of trees and shrubs, which are displayed in gardens accompanied by groundcovers and perennials, and in themed collections. More about The Holden Arboretum: https://www.holdenarb.org/about/. More about the Seasons of Haiku poetry trail: http://www.holdenarb.org/seasons-of-haiku-interpretive-trail/.